Affordable transient protection is now available within electronic connectors. 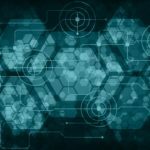 “Connectors contribute nothing to electronic equipment” is an old and contentious statement that raised a few hackles when written, but is now undisputedly outdated and wrong! A modern connector, in isolation, can fulfill the equipment protection function—against both continuous and transient noise. Of course, the issue of cost immediately springs to mind. Add filtering and a $10 connector becomes a $100 connector. Add protection against voltage spikes, and you are looking at a $1000 connector. Fortunately, recent innovations have changed that unhappy dilemma. A filter capacitor, the multilayer planar array is now available with an additional function, that of transient protection. 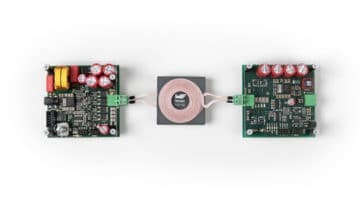 When built using multilayer varistor planar arrays, transient protection filter connectors create an affordable option in product design. Varistors are variable resistors. At low values of applied voltage, a varistor acts as a conventional high value resistor obeying Ohm’s Law, but above a certain threshold voltage the device becomes highly conductive presenting a low impedance to high voltages. When the varistor becomes conductive, it clamps the applied voltage to a specified maximum that the protected device can withstand. Because of these properties, varistors are employed in electrical applications to protect circuitry from momentary overvoltages. At low voltages, varistor behavior resembles that of a ceramic capacitor; and as such, it can also act as part of an electrical filter, a countermeasure to continuous noise. So why were varistors not regularly used in filter applications, where they could fulfill a dual role—that of continuous noise attenuation and transient voltage suppressor? 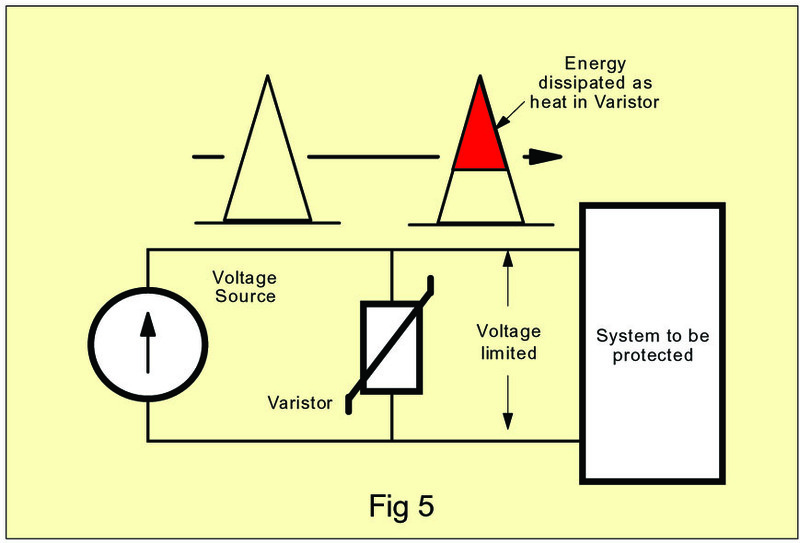 One of the reservations on the part of potential users over the use of varistors in filter applications concerned a degradation of protection that might occur as a result of repeated strikes by voltage surges. Varistors are made from ceramic materials. The predominant varistor type has a main component that is zinc oxide (ZnO). To this are added small amounts of other oxides such as bismuth, cobalt, manganese, and others. Accordingly, varistors are sometimes known as metal oxide varistors or MOVs. During manufacture, original ceramic powders are mixed and shaped, then fired. Metallization is applied to afford an electrical connection. 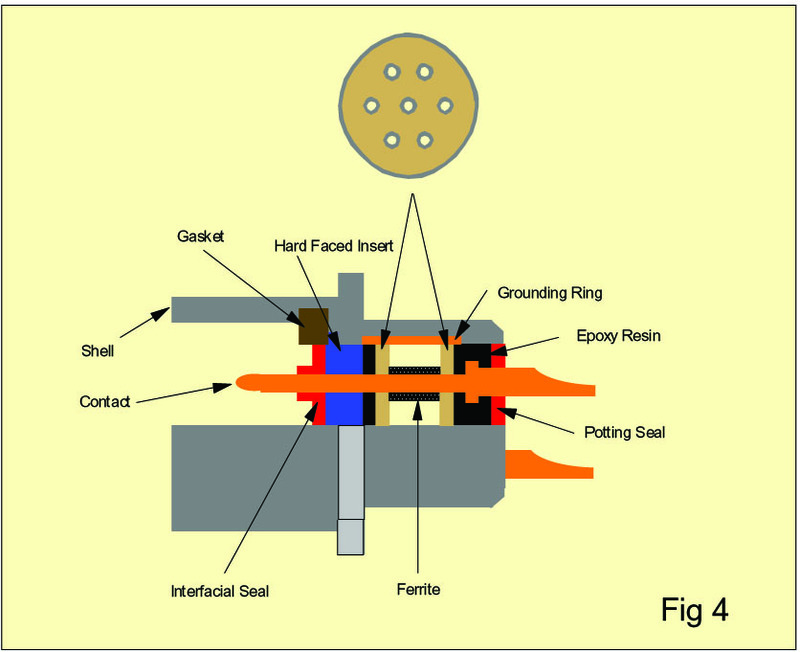 During the firing of the ceramic, a multi-crystalline structure is formed (Figure 1). The metal oxide additives move to the boundaries of the grains where they form semi-conducting layers, P – N junctions. The mean grain size is determined by the original powder formulation and the firing temperature. Below an applied voltage stress of about 3.6 volt per grain boundary, the grain boundaries are highly resistive. Above that threshold, they switch and become highly conductive. The voltage at which the varistor itself switches is determined by the average number of grains between the electrodes of the part. The crystal structure of a varistor has no directionality; therefore, varistors are bipolar devices. With symmetrical, sharp voltage breakdown characteristics, they exhibit an electrical behavior similar to back-to-back Zener diodes. Traditionally, varistors were believed to suffer a degradation of electrical performance as a result of repeated pulsing at high current levels (notably a decrease in their clamping performance and an increase in their leakage current). At one time, the manufacture of varistors demanded the use of large grain ceramic formulations. 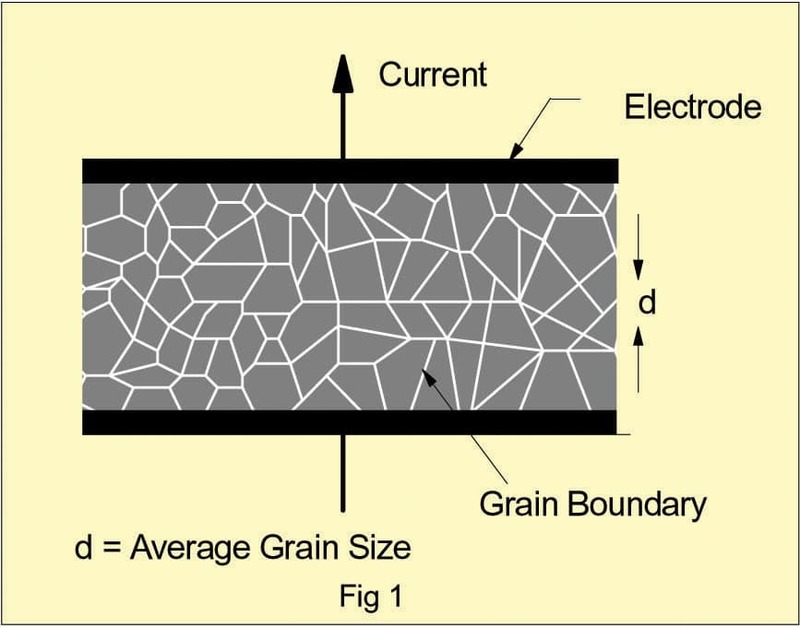 Large grain sizes resulted in fewer grain boundaries per unit area of electrode and longer current paths, via the grain boundaries, between electrodes. Series resistance per unit area of electrode was relatively high, resulting in commeasurably low peak current capability. The need to produce a genuine surface mountable chip varistor configuration that could operate at low voltage demanded the development of fine grain ceramic formulations that would be capable of successful formulation in a multilayer format. When this goal was accomplished, the small and uniform grain size materials coupled with the high electrode area relative to the component platform provided by the multilayer format, resulted in massive increases in peak current capability per unit of component volume. Current and energy ratings for multilayer varistors (MLVs) are very conservative compared to those for other varistor types, and now it can be demonstrated that MLVs can survive many thousands of strikes, at full rated peak current without degradation. As the manufacturers of components of various transient protection technologies sought to press their cases for adoption of their preferred products, speed of response, or lack thereof, was often raised as a concern regarding varistors. The base material of varistors has a response time of much less than 500 pico-seconds. The “culprit” to slow response times on the part of early varistor components was the parasitic inductance of the finished package. With 25 to 50 mm of wire used in their construction, at an inductance of 0.6 mH per mm, high levels of self-inductance were a given characteristic of radial lead varistors. Now, multilayer construction has eliminated lead wire; and now, with a typical inductance of the order 1200 pH, a 1206 MLV chip has a response time of less than 1 nS. Other component configurations, once pioneered as filter capacitor structures, are becoming available as varistors—with equivalent series inductances (ESLs) as low as 30 pH. These offer the possibility of response times down to a few tens of picoseconds. Another issue created by the inductance inherent in the construction of leaded varistors was voltage overshoot. Change of current (di/dt) would, as a result of the varistor self inductance (L), generate a voltage equal to -Ldi/dt. During a voltage spike, an overvoltage (the sum of the clamp voltage plus a voltage induced as a result of the varistor self inductance) would appear across the varistor. Reduction of the self-inductance of MLV filter structures down to a few 10s of pH has all but eliminated any concern over voltage overshoot. The effective counter to radiation is shielding. Radiated noise energy is absorbed by the shielding and dissipated as heat. The effective measure against conduction is the EMI filter, which diverts conducted energy away from the protected system to ground. (Figure 2). 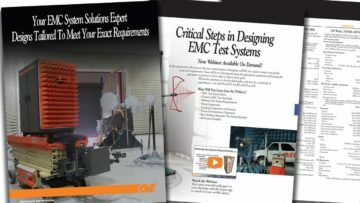 EMI filters are constructed from combinations of capacitors and inductors utilizing their different impedance characteristics to reduce unwanted signals selectively. They are bidirectional. At the same time as they keep unwanted noise out of a system, they also prevent that system from emitting noise. Whilst assembly of filters on the circuit boards of the equipment is relatively common practice, filters are most effective when placed at the point of exit and entry of the equipment shielding. A connector allows for grouping of power and signal cables so that they all enter the equipment shielding at a single point. Within the connector, at each contact, a filter circuit can be formed, and these may be C, T, L, or Pi configurations according to the demands of the system. The filter connector affords a reduction in overall system size and weight as it all but eliminates the need for board level filter circuits. Also, system reliability is improved as the number of solder joints is reduced. The multilayer planar array is an application specific component designed for use in EMI filter connectors. 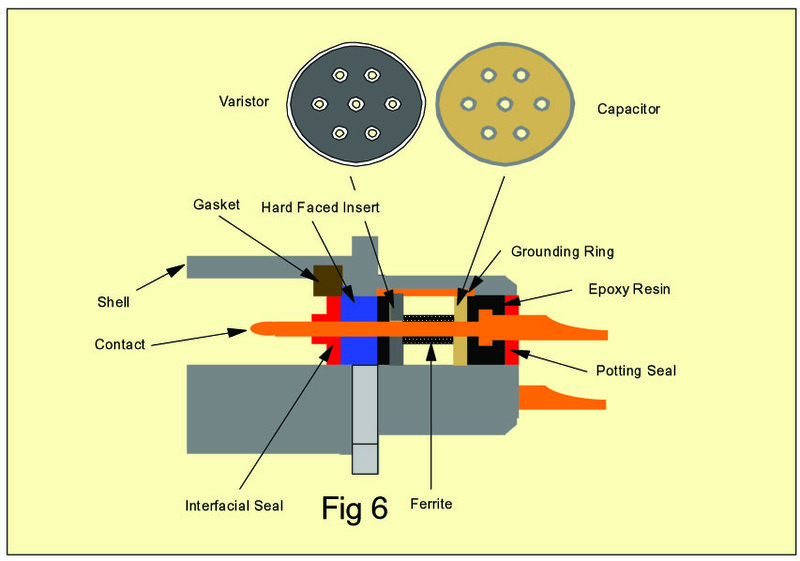 It is a unitary block of ceramic, containing a multiplicity of capacitors. Individual line connection is made to each capacitor through a via hole whilst ground connection is made to all at the device perimeter. Very low impedances are encountered as signals are presented with multi-directional paths to ground (Figure 3). Each contact of the connector is connected to holes in one or more arrays. 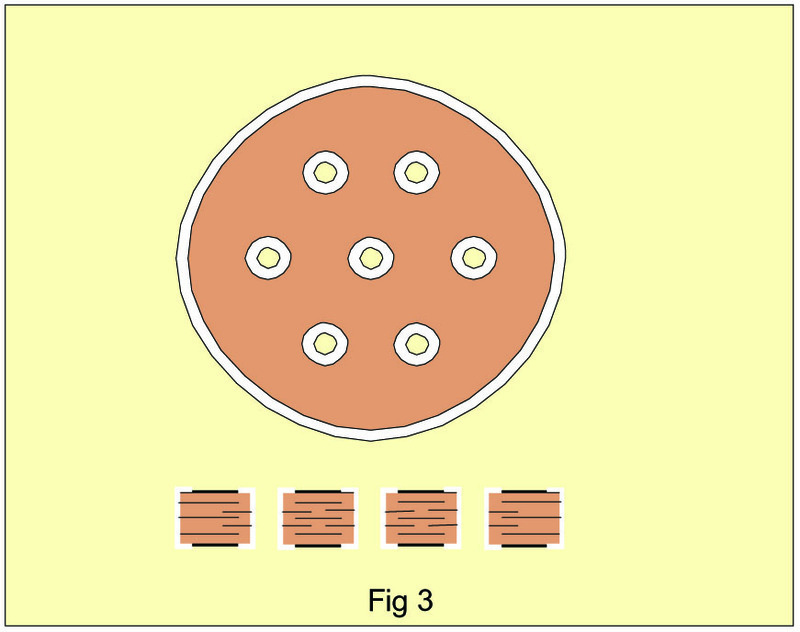 At each hole there is a capacitor—“hot electrodes” make connection with the perimeter of the whole whilst ground electrodes cover the entire planar and make contact with the connector shell through the planar perimeter (Figure 4). Planar-based filter connectors are available in all MIL-STD connector layouts. Connector shapes (to which the outlines of planar arrays must conform) are either circular or rectangular. Popular rectangular layouts include D-Sub, High Density D-Sub, Micro Ds, Arinc 404s, and Arinc 600s. Irregular shapes are also available. The corresponding planars range in size from around 5 mm square to over 75 mm in diameter. Contact counts range from two to 200 plus. Standard contacts range from 0.3 mm diameter upward to co-ax—all can be filtered. Standard contact pitchings start at 0.63 mm. Within the planar array, as many as six different capacitance values may be distributed about the layout without any regards to any artificial ratios. Different operating voltages may be specified across a planar, and a typical 300-VDC rated planar will withstand transients up to 750 V peak. 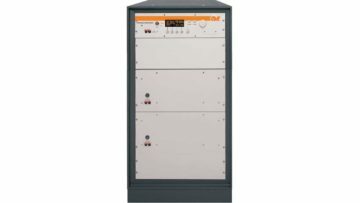 A transient capability of up to 3000 V may be specified. Individual holes can be isolated (feedthroughs) or grounded. Maximum ground plane resistances of 10 MΩ can be specified, and crosstalk capacitance can be restricted to 10 pF or less. The sophistication of the planar array lies not in the complexity of electrical specifications that can be incorporated into a single component but in the mechanical precision with which such devices must be built. Typically, pin positions in a connector must be maintained to better than ±0.05 mm so planar arrays must be built to the same or better mechanical tolerances. Planars must be formed (shaped and drilled) before ceramic firing, during which they shrink, typically by around 20 percent. Pin positions on a 30-mm fired diameter planar will move more than 2.5 mm during firing relative to a central reference point—i.e., 50 times the magnitude of the permissible pin tolerance! The planar array is one of the most advanced passive components. With multiple capacitors per device, multiple capacitance values per device, and multiple electrical function alternatives per hole, it is one of the original integrated passive components. At low voltages, multilayer varistors behave like capacitors. Grain boundaries are insulators and have dielectric properties. The effective dielectric constant of an MLV is around 800—i.e., about one-quarter to one-third of the value of a typical X7R multilayer capacitor dielectric. Capacitance values available from varistors are commensurately lower than those that can be obtained from conventional capacitors. 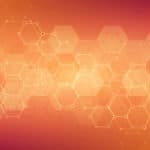 Given that these are at the low end of what can be achieved by conventional multilayer capacitor technology, value for value, the filter performance of an MLV is virtually indistinguishable from that of a capacitor. Given that they may be built in a multilayer structure, there is no multilayer capacitor component configuration that cannot be duplicated as a varistor. These sophisticated components are intended, exclusively, for incorporation into protected EMI filter connectors (both plug and receptacle) and filter adapters. They can replace or supplement capacitors in C, L, T, or Pi filter configurations (Figure 6). Filter connectors that include additional transient protection have, hitherto, been made available using two other transient voltage technologies: tubular varistors and Zener diodes. Compared with a planar-based filter connector, both technologies demand a longer (and therefore heavier) filter connector shell. Moreover, both make for inefficient use of connector real estate—neither technology can compete with planars in terms of connector pin density. Each of the other components must be handled individually during the connector assembly process and neither affords a compensation for this cost burden by way of a low piece part cost. Varistor planar arrays are available in all MIL-STD layouts including both circular and rectangular layouts. 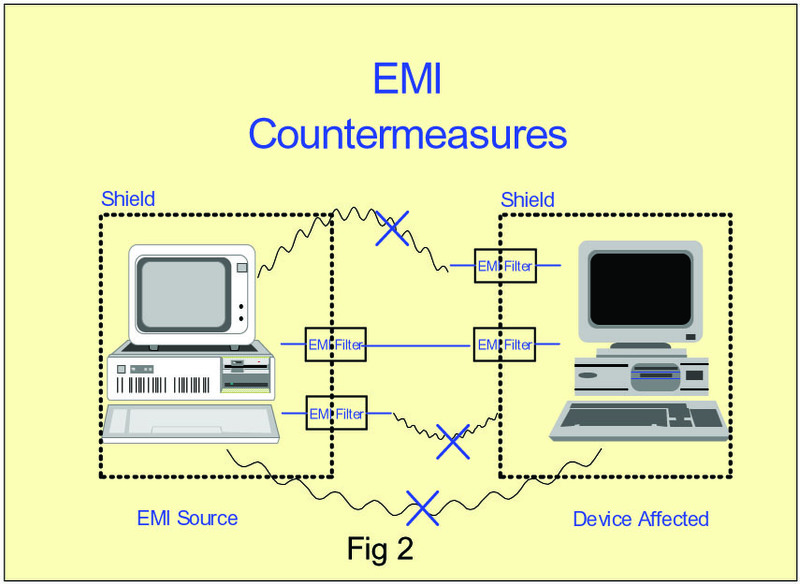 Affordable transient protection is now available within electronic connectors. The variable planar array-based transient protected filter connector offers a reduction in overall system size and weight as it all but eliminated the need for board level filter and suppression circuits. System reliability is improved. The varistor planar array is now the most sophisticated passive component. Affording transient protection at different voltages across different holes, multiple capacitance values per device, and other electrical function alternative per hole, it is the ultimate integrated passive component. Chris Noade currently working as Marketing Manager for Syfer Technology Ltd. He has been with the company for 11 years in various sales and marketing roles, including EMI filter product manager. He has had 24 years’ experience in the electronics industry and has an electronic engineering qualification. Contact him at cnoade@syfer.co.uk.